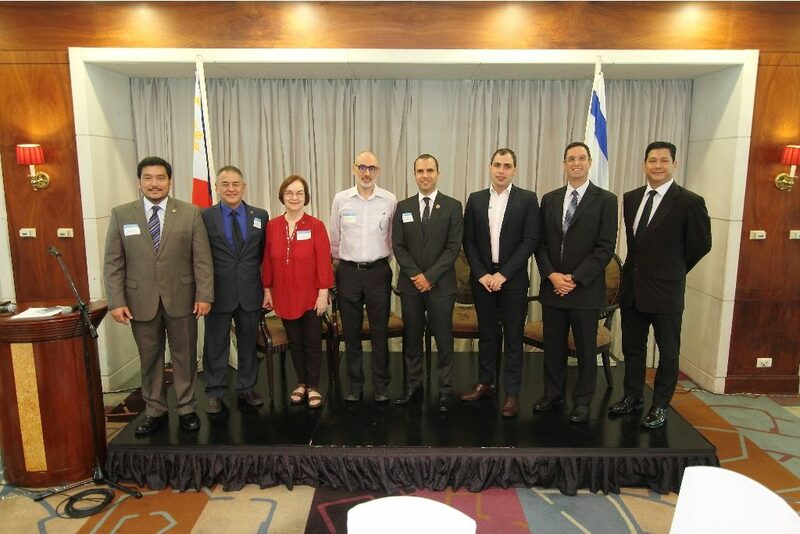 Makati City, Philippines- The Israel Chamber of Commerce of the Philippines (ICCP) has announced the results of elections for its 2017-2018 Board of Directors at the 17th General Membership Meeting held on April 27, 2017 at the Tower Club. The new set of ICCP Board of Directors includes; Itamar Gero, Founder & CEO of TrueLogic Online Solutions, one of the largest digital marketing companies in the Philippines, also re-elected as President for his second term; Nancy Catan, VP for Admin and Finance of MAPECON Philippines, the nation’s largest and leader in pest control; David Elefant, Director of Dayanan International Business Consultancy Services Inc. a business consultancy company for doing business in the Philippines; Haim Katzav, Business Development Director of Ideacademy, Inc., the exclusive representative company of McGraw-Hill Education in the Philippines; Yoray Levin of CCW Transconnection Asia, a global leader in sales BPO and support services ; Yuval Mann, President and CEO of Beutifeel Inc./ VAL-YOU Philippines Inc., a cosmetic and beauty care company operating internationally and locally; Jorge Marques, President of New World Travel Corporation, a travel and tourism company; Sagiv Massad, Director, Technology and Cyber Security of Business Profiles, a security consultancy firm specializing in Enterprise-Wide Risk Management and Corporate Business Security and Anton Mauricio, Country President, Philippines of Chartered Institute for Securities & Investment, a professional body for securities, investment, wealth and financial planning professionals. “Congratulations to the new ICCP Directors and thank you to the outgoing Directors for their service and contributions. Thank you also to my fellow Board Members for their expression of confidence in re-electing me as President. We are looking forward to this new set for their fresh ideas on ICCP initiatives and activities building on the success of the past term. ” said Gero. The Israel Chamber of Commerce of the Philippines is a private, independent and non-profit entity whose mission is to encourage business-to-business networking within the Philippines and bilateral trade between the Philippines and Israel. Visit www.iccp.ph for more details.